By John Stittle in The Conversation. The provision of defined benefit pension schemes has been dwindling almost to extinction in Britain over the past 20 years. It used to be the norm that you’d qualify for a pension that was determined by your final salary on retirement and the number of years of service at the company. But these gold standard schemes are rarely offered to new employees anymore and those with existing ones increasingly find theirs at risk of change. Let’s be clear: there has not just been one pension “thief”. In my view, there has been a coalition of culprits who through their own greed, selfishness and regulatory incompetence have systematically raided workers’ employer’s defined benefit pension funds. Listed on the charge sheet are a muddled assortment of inept and grasping politicians, some misguided accountants and ultra-cautious actuaries, a complacent Bank of England, a docile pension regulator and, finally, increasingly indifferent and uncaring employers. 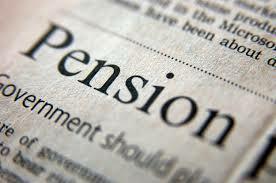 An employee’s defined benefit pension became the norm after World War II and private sector pensions peaked in 1967 with more than 8m active members. During an employee’s working life, they (and their employer) paid into a “ring-fenced” and safeguarded pension fund. On retirement, the employee received a guaranteed and often inflation-protected pension for life. Better still, all investment risk of the pension fund solely rested with the employer. Any poor returns or losses from dodgy investments within the pension scheme were down to the employer to make good.